Nov. 3 (Bloomberg) — Forty-six years after he disappeared, the Nazi fugitive known as Dr. Death may be within reach of Chilean police tracking him down. A police task force is following leads in southern Chile that Aribert Heim, an SS officer accused of performing experiments on inmates at the Mauthausen concentration camp, was spotted at a restaurant with his daughter, who lives in the town of Puerto Montt. “Someone told us that they had seen the suspect, or someone very similar to the suspect’s description, together with a woman very similar to his daughter,” Segundo Leiton, chief of Chile’s office of missing persons, said in an interview in Santiago last month. Heim is the most-wanted among Nazi fugitives because of the heinousness of his alleged crimes, said Efraim Zuroff, director of the Simon Wiesenthal Center in Israel. The Austrian doctor, now 94 years old, is accused of killing people with injections directly into the heart, performing operations without anesthetic, and using body parts as decorations while working at the camp in 1941. 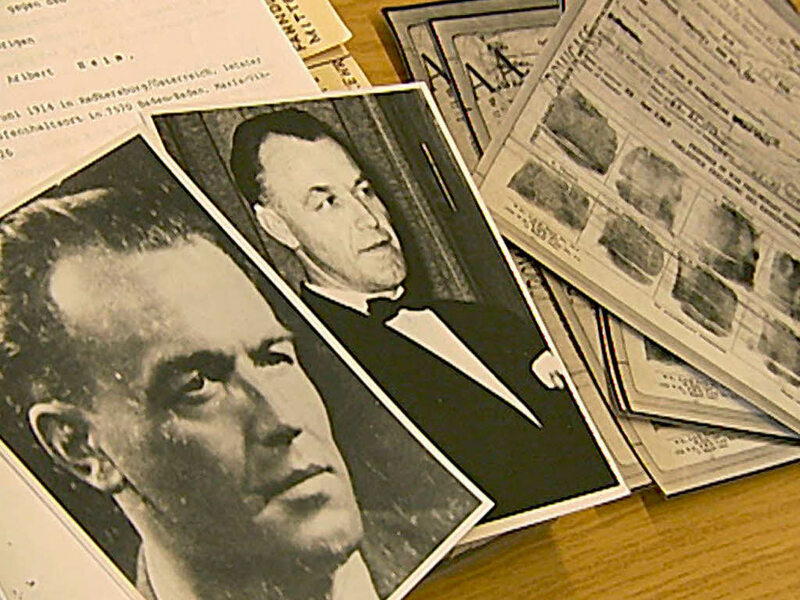 A reward of 315,000 euros ($400,000) is being offered by the center, which tracks World War II Nazi war criminals, and by the Austrian and German governments for information leading to Heim’s arrest and conviction. The center plans to publicize the offer through an advertising campaign in Chile. “All we need is one person who knows where Heim is and is willing to give us the information,” Zuroff said in a telephone interview from Jerusalem in August. Neo-Nazis harassed him and other investigators when they went to Puerto Montt in July, Zuroff said. He met with government authorities in Chile and gave news conferences at which he described Heim’s crimes. While Chile has a 10-man police team looking for Heim, he is just one of 5,000 fugitives that Leiton’s office is hunting this year. “It’s not unusual for these cases to take several years,” Leiton said. The search for Paul Schaefer, a medic in the Nazi army and former leader of a Chilean-German sect called Colonia Dignidad, took almost eight years. Puerto Montt residents said the Heim search was forgotten as soon as the Nazi hunters left town. “There was some commentary the day after it was on the national and local news, but people didn’t treat it like a big deal,” said Andrea Jhon, a 41-year-old hotel manager. She said she isn’t happy about Puerto Montt being the site where an old man is being chased for crimes committed long ago. “The evil is done and now you have to turn the page and keep going,” Jhon said. to be brought to justice, Zuroff said. Zuroff said he thinks the man spotted in Chile is Heim. He has been hunting for Heim across Europe and South America with the Wiesenthal Center’s Operation: Last Chance, a project to find the remaining Nazi war criminals still at large. The concentration camp near the Austrian town of Mauthausen was built to hold criminals, political dissidents, Soviet prisoners of war, and large numbers of Hungarian Jews, according to the U.S. Holocaust Memorial Museum’s Web site. Heim got the name Dr. Death from detainees at the camp. After serving in the war with Nazi Germany’s SS, Heim was captured by U.S. soldiers and later released. He worked as a gynecologist in Baden-Baden, West Germany, until 1962, when he fled after receiving a tip that he would be arrested, according to the Wiesenthal Center’s Web site. Nazis were welcomed in South America by military dictatorships in power after WWII, Zuroff said. “The tradition was to grant asylum to people seeking political refuge,” Zuroff said. Otto Adolf Eichmann was captured in Argentina, Josef Mengele died in Brazil, Klaus Barbie was arrested in Bolivia, and Walter Rauff died in Chile. If caught, Heim will be extradited to stand trial in Germany for mass murder, Zuroff said.